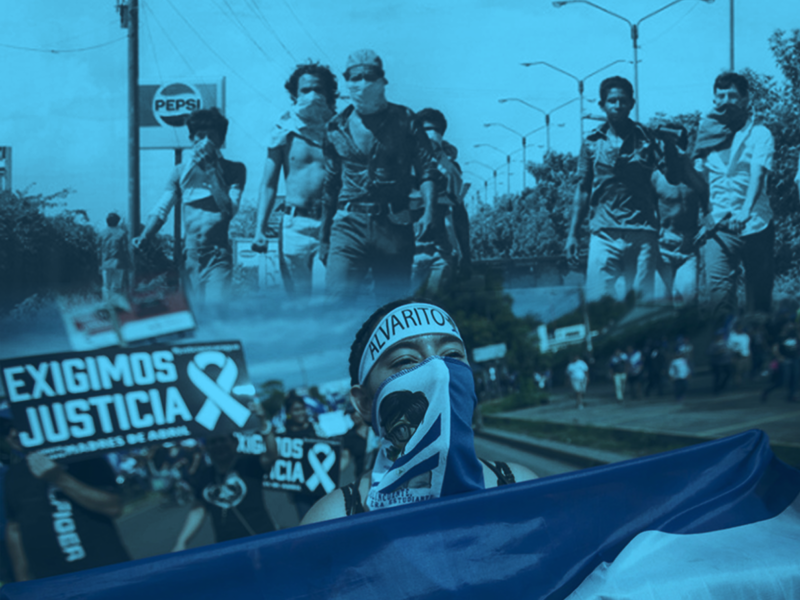 The Civic Alliance for Justice and Democracy from the street accuses the Ortega-Murillo regime of kidnapping the State, its institutions, sovereignty, democracy, the media and the lives of hundreds of Nicaraguans, at the same time demands the reinstallation the National Dialogue with the CEN as mediator and witness. The Secretary General of the United Nations, Antonio Guterres, told the Nicaraguan Foreign Minister, Denis Moncada, that the organization is willing to support the National Dialogue process. 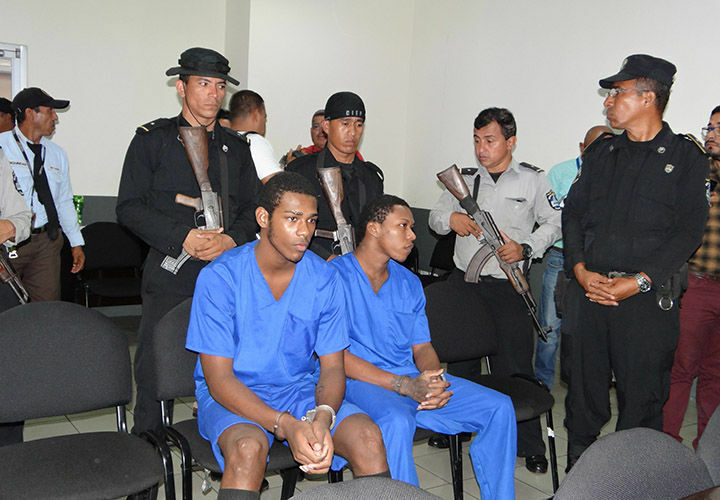 Braulio Abarca of the Nicaraguan Center for Human Rights (Cenidh) assures that three of the youth leaders detained in León have precautionary measures from the IACHR. Dr. José Antonio Vásquez, detained in the cells of El Chipote for denouncing the arbitrary dismissal of more than 240 doctors, relates that he was stripped naked and handcuffed “I thought they were going to kill me,” he emphasizes. Human rights lawyer Mónica López Baltodano denounces an increase in the campaign of defamation and intimidation by sympathizers of the government party. The University Coalition ensures that their fight convictions are “intact”, despite the siege and threats of supporters of the ruling party. Edils from opposition municipalities denounce that the executive power delays disbursements for execution of projects. Marvin Altamirano, president of the Association of Carriers of Nicaragua, assures that the sector is semi-paralyzed because importers are canceling shipments to Nicaragua due to the crisis. Central Bank of Nicaragua raises doubts about foreign currency sales policies that were previously fixed at 1% and are now at the discretion of the president of that entity. José Ángel Buitrago, president of the Association of Nicaragua Coffee Exporters (Excan) indicates that the socio-political crisis affects the sector because banks do not want to provide financing. The Brazilian filmmaker, Emilia Mello, detained and expelled from the country for trying to record images of the protests to the government, denounces that the Nicaraguan authorities detained her for 30 hours. National Police presents three demonstrators as responsible for leading the traffic blockages in the municipality of El Viejo, Chinandega. Migueliuth Sandoval, wife of assassinated journalist Ángel Gahona, describes the legal process in which young Brandon Lovo and Glen Slate were convicted of a judicial circus. The military Roberto Samcam joins the thousands of Nicaraguans who have been exiled by the persecution of the Government of Nicaragua. Rosario Murillo, vice president of Nicaragua, informs that they will receive the first 500,000 signatures of Nicaraguans who demand justice for the 198 victims of coup-plotting terrorism. Mauricio Díaz, former Ambassador of Nicaragua to the OAS, assures that the approach of Foreign Minister Denis Moncada with the UN Secretary General, Antonio Guterres, shows the Government’s interest in having a dialogue that suits them. National Police evicts more than 200 land squatters who have invaded a property in El Realejo, Chinandega. Marco Rubio, US senator considers it is time to impose sanctions on Laureano Ortega, Rafael Ortega Murillo and the wives of both Karen Santamaría and Yadira Leets. Migueliut Sandoval, widow of journalist Ángel Gahona reaffirms that a short anti- riot agent is the murderer of her husband and not the youngsters Brandon Lovo and Glen Slate who were found guilty. Members of the World Council of Churches (WCC) visited the Bishops of the Episcopal Conference of Nicaragua (CEN) to show them their support as mediators in the National Dialogue. The writer Gioconda Belli maintains that “Ortega’s performance is cavernous” and asks that the elections be anticipated. Supporters of the government party attack and kidnap self-convoked demonstrators in León who were standing up demand justice.